Vanguard is a leader in the long-term care industry. Headquartered in Brentwood, Tenn., our facilities are dedicated to providing rehabilitation and skilled-nursing for your patients recovering from surgery, illness or injury. Our history of innovative programs and services has been guided by our overall mission, vision and values. 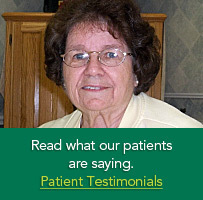 Our long-term care facilities all exceed federal, state and company guidelines. Our Mission is to provide dignity in life for those we serve. We are committed to our foundational values of Life, Growth, Excellence, Integrity and Stewardship. Life – We strive to demonstrate in word and deed our commitment to nurture life-long learning for those we work with and to provide dignity in life for those we serve. We believe all people deserve to be treated with dignity, respect and compassion. Growth – We continually support the personal and professional growth of all our associates to increase personal competence, develop professional skills, be flexible and open to change and promote positive relationships with residents and co-workers alike. Excellence – Our passion for excellence requires that we: work together, encourage and inspire people to contribute their very best, continually look for ways to improve the quality and effectiveness of our systems and processes and hold ourselves, as individuals and as a team, accountable for delivering outstanding customer service. Integrity – Our commitment is to be honest and truthful in all we do and be willing to speak up if we stray from our mission and values. Stewardship – We work in service to others. Therefore, it is essential we continually assess our ability to efficiently and effectively utilize resources provided to us. We are committed to clinical excellence and determined to continually raise the bar in long-term healthcare by setting new industry standards for quality care and personalized service. That’s why patients choose us for their healthcare needs every day. Call 1-877-250-7100, or refer to the location finder for a provider near you.